CHICKENFOOT - "Best + Live"
Once upon a time there was as super group which was writing a super rock n roll fairy tale. 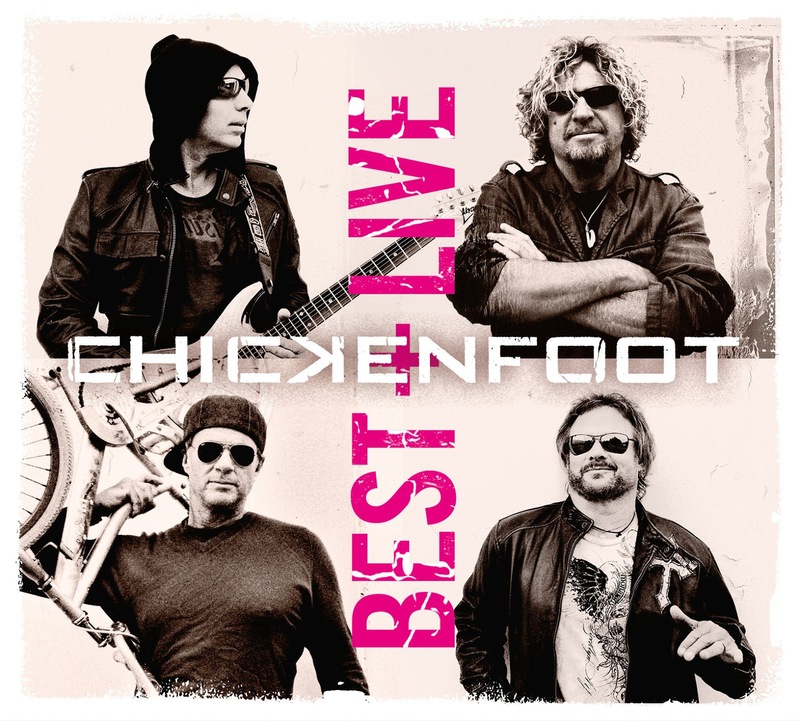 Who would have bet at the beginning of Chickenfoot that those guys would go beyond the album. A few albums later front man Sammy Hagar, guitar God Joe Satriani, bassist Michael Anthony (Van Halen), and drummer Chad Smith (Red Hot Chili Peppers) are still making music together and even better: they recorded a new track, assembled their best titles and are offering a live album to their fans. Divine Termination, the album, and Divine Termination, the title, are pleasant. The latter is not earth shaking material, providing the calibre of the group, but is well worth having an ear open. The studio tracks "best of" is like any best of: a cool way to cast an eye (ear I should say) on a relatively short but fruitful career. Obviously Soap On A Rope, Different Devil and Something Going Wrong have made the hit list. On the live side of things, you won't be disappointed by the show. I suppose we don’t even need to mention the pedigree of the music powerhouse that has become the Foot. Recorded for the most part at Harrah's Lake Tahoe, it sounds solid, fun and rock'n'roll!!! The particularity to me and the value of the document, which is Divine Termination, is the inclusion of Sammy Hagar’s old Montrose classic “Bad Motor Scooter,” The Who’s “My Generation” and Joe Satriani’s interpretation of “The Star Spangled Banner" – all recorded live in Phoenix 2009. For once that bonus tracks are really a value added. I am relishing those 3 tracks with no moderation whatsoever. Amplified Ale Works is pleased to announce their newest beer collaboration with rock legends MOTÖRHEAD. Born to Lose IPA is a boldly aggressive West Coast-style IPA, befitting of the band's loud, aggressive style. The 6.5% IPA is brewed with Cascade, Simcoe and Citra hops that provide an earthy, resinous aroma with notes of fresh citrus. In an ode to MOTÖRHEAD's British roots, the beer was also brewed with Maris Otter, a premium British malt that brings a sweet balance to the beer's bold bitterness. The limited edition beer will be sold directly from Amplified's two San Diego locations and will also be available for purchase via the website TheBeerConnect.com for refrigerated shipping throughout California. The can features an original design of band members in a dystopian "Born to Lose" future from LA-based artist Jack Gregory. The follow up beer in the series, Live to Win IPA, will be released later this year. ABOUT MOTÖRHEAD: An English rock band formed in June 1975 by bassist, singer, and songwriter Ian Fraser "Lemmy" Kilmister, MOTÖRHEAD quickly rose to great prominence in the British punk and heavy metal scenes. 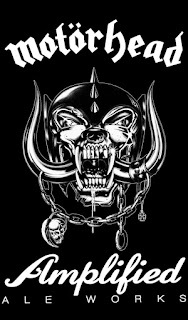 Although they changed their line-up several times, MOTÖRHEAD never compromised or changed their unique, raging sound, which saw the band and their music become a lifestyle for many people from all genres, whether rockers, punks or alternative. 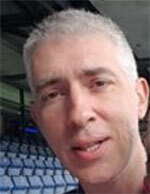 As a power trio, they had particular success in the early 1980s with several successful singles in the UK Top 40. The albums Overkill, Bomber, Ace of Spades and particularly No Sleep 'till Hammersmith cemented MOTÖRHEAD's reputation as a top-tier rock band. The band are ranked number 26 on VH1's 100 Greatest Artists of Hard Rock. As of 2016, they have sold more than 15 million albums worldwide. Road dogs extraordinaire, for the last 20+ years of their career, MOTÖRHEAD were guitarist Phil Campbell, drummer Mikkey Dee and were (of course!) 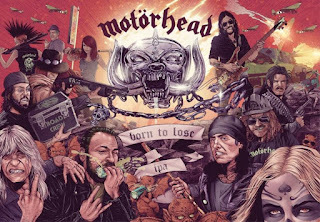 fronted by Lemmy, in early 2015 they entered the studio to begin work on Bad Magic, which was released in late August 2015. It quickly became one of the band's most successful ones ever, but sadly, Lemmy's health was in decline, and he passed away on December 28, 2015. The band's last record turned out to be a recording of two typically blistering sold-out shows from the Bad Magic tour, at Munich's Zenith concert hall only a month prior to his passing. MOTÖRHEAD released 22 studio albums, 13 live recordings, 12 compilation albums, and four EPs over a career spanning 40 years. The MOTÖRHEAD legacy lives on strongly through their music and loyal fans. ABOUT AMPLIFIED ALE WORKS: Amplified Kitchen & Beer Garden opened in the Pacific beach neighborhood of San Diego in 2012 with the goal of creating a community-centric gathering place for people to eat, drink, listen to music, and enjoy ocean views while sharing outdoor picnic tables. Nearly five years later, the concept stays true to this ethos while also evolving its' focus to include an expanding brewing operation that now primarily takes place at a facility and tasting room in the Miramar area of San Diego. The brewery expansion has allowed Amplified to create more of their sought-after beer, like their World Beer Cup Gold medal-winning Whammy Bar Wheat and their new IPA collaboration with Motörhead. Last week, it was announced that June 2, 2017 will mark the release of Global Music Award-winning nomadic folk metal group TENGGER CAVALRY's upcoming full-length album, Die On My Ride. 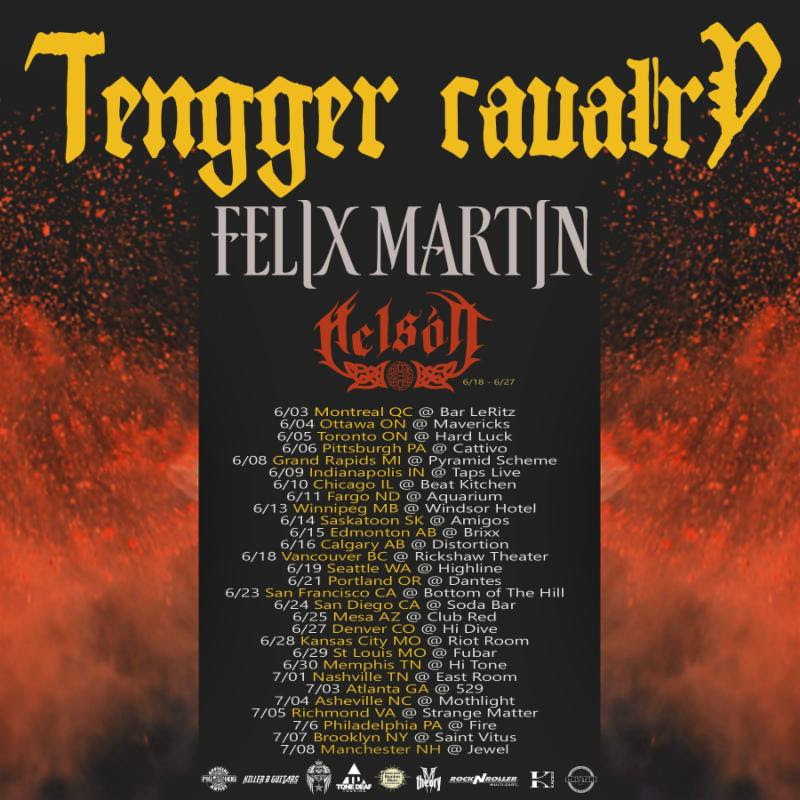 The band is thrilled to announce that just a day after album drops, they will kick off a 25+ date North American headline tour featuring support from Venezuelan world music/progressive fusion guitarist Felix Martin and pagan folk metal group Helsott. The tour will begin in Montreal, QC on June 3 and visit several other major Canadian and U.S. cities before coming to an end on July 8 in Manchester, NH (Helsott will appear June 18-June 27). See below for a full listing of dates. 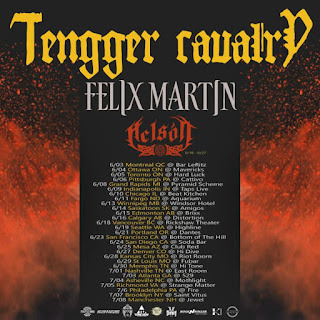 TENGGER CAVALRY frontman Nature G states: "After so many months off the road, hours and hours of recording in the studio and many intense rehearsals, we are so excited to finally hit the road and raid with Felix Martin and Helsott! Helsott is amazing - they play European-influenced pagan folk metal, and Felix Martin is an absolutely skillful progressive-influenced metal/rock act. We're stoked to play many songs from our brand new album and also to have these awesome fellow world/folk music artists out with us!" Each night on tour, fans can look forward to hearing TENGGER CAVALRY favorites and new tracks from the band's aforementioned new album, Die On My Ride. 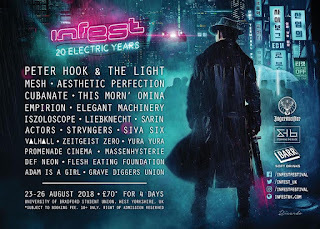 The new album expands on the band's celebrated, exotic metal-meets-Mongolian/Central Asian musical influence and lyrical explorations of tradition, history and warfare by delving into more topical themes of personally-experienced racial discrimination, identity conflicts and equal rights issues. Die On My Ride was self-produced at Nature G's production studio Raiding Media, and is available to pre-order now in both physical CD and vinyl format via M-Theory Audio or digitally via the band's Bandcamp page. Die On My Ride is TENGGER CAVALRY's first album available in vinyl format, as well as their first album to be released with M-Theory Audio - the new label recently launched by Marco Barbieri, former president of Century Media Records and Nuclear Blast America. The album is distributed by AISA/RED in North America. In addition to these North American dates, TENGGER CAVALRY plans to announce several performances at European festivals this summer. Stay tuned! 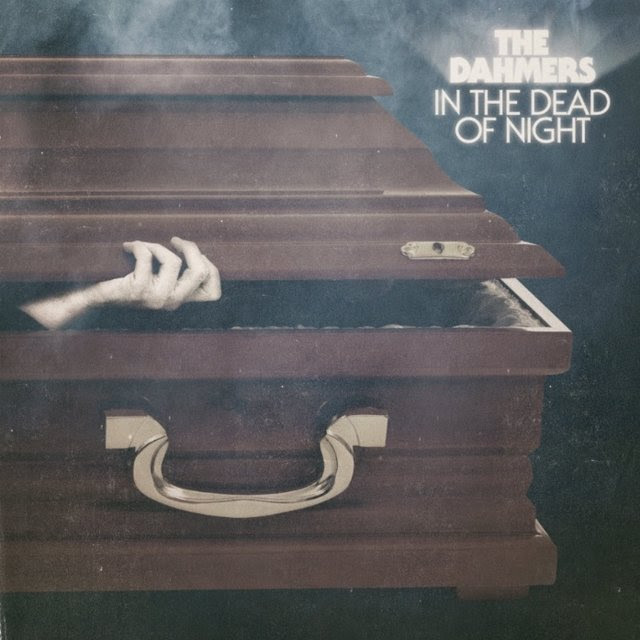 THE DAHMERS bring their exhilarating mix of garage punk and lo-fi action rock with chilling lyrical themes to the UK for a one off show at Nambucca in London on Sunday May 28, 2017. They’ll be joined by The Riven. For more info and tickets go to: www.nambucca.co.uk. 13 TRACKS OF PURE ROCK N ROLL HORROR. NO FILLERS - ONLY KILLERS!! The Dahmers recently released their highly anticipated new album ‘In The Dead Of The Night’ album on Lovely Records. As dusk settles in and night time aproaches The Dahmers rise from their coffins once more. Like bloodthirsty creatures of rock n roll they will burst out into the moonlight leaving solitude behind on a rampage for terror. 13 nerve breaking songs dedicated to the darkest of hours that will cut you down ruthlessly. A mutation of garage punk, energic rock and 60s pop makes 'In The Dead Of Night' a Frankensteins monster of music. The Dahmers released their debut album ‘Demon’ on Farsot Records in 2014. The album quickly sold out and got an international release through Lövely records in 2015. 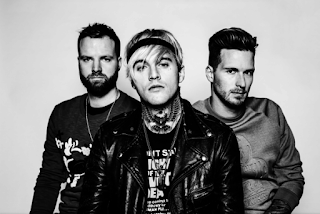 The band released their ‘Terror On Wheels’ EP in 2015 and ‘Blood On My Hands’ EP in 2016. ‘Blood On My Hands’ got elected on of the top 50 songs 2016 by Swedish National Radio as one of few rock n roll songs on the list. The band´s new album ‘In The Dead Of Night’ was recorded in Studio Underjord by Joona Hassinen. Mixed by Linus ‘Linkan’ Björnlund and mastered by Magnus Lindberg. Artwork by Branca Studios.